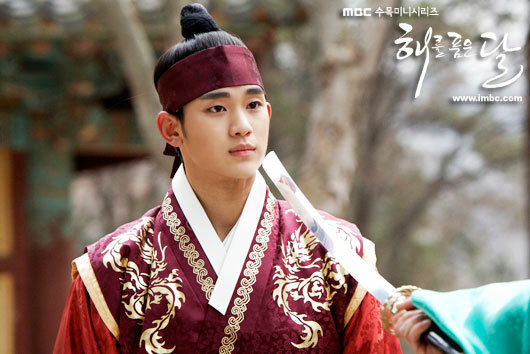 Yang Myung (Jung Il Woo) and Hwon (Kim Soo Hyun) are having an exchange in sword. 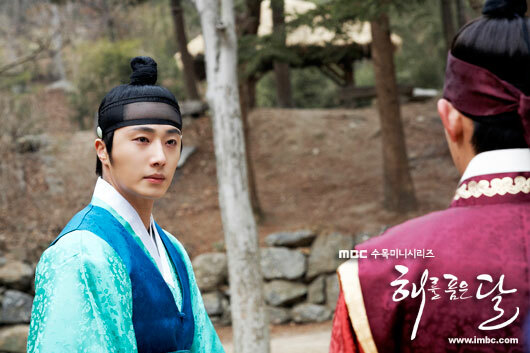 On February 28th, 2012, MBC drama series The Moon that Embraces the Sun released several stills for episode 17 through official website. The text preview of episode 17 disclosed that because of the appearance of assassin, Yang Myung pulls along Yeon Woo to run away. 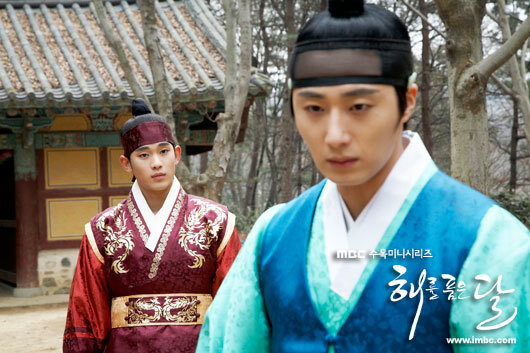 When Hwon recalls the scene of Yang Myung disappears with Yeon Woo, his eyes turn fiery. Yang Myung and Hwon officially begin a fierce battle for Yeon Woo (Han Ga In). There is speculation that Yang Myung turns extreme because of woman, and rebels. The reunion of Hwon, Yang Myung and Yeon Woo, how the fate and conflict of three persons going to develop is gaining attention. On the other hand, the ratings of The Moon that Embraces the Sun have exceeded 40%, breaking new record.